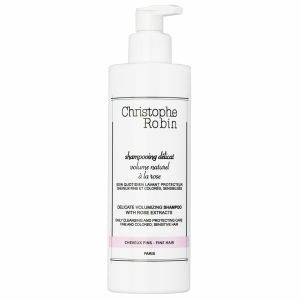 Treat fine or thinning hair to the Christophe Robin Cleansing Thickening Paste; a densifying shampoo developed specifically for men. Powered by Pure Rassoul Clay and Tahitian Algae, the mineral-rich formula gently eliminates impurities from the scalp, whilst helping to maintain the vitality of hair follicles for a stronger, thicker-looking head of hair. With a unique paste texture that transforms into an airy foam upon contact with water, the innovative shampoo adds weightless body and definition to thin hair for a denser, fuller appearance. Hair feels refreshed and rejuvenated with a scent of rich Wood and warming Amber accords. 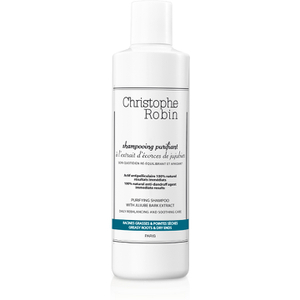 Free from parabens, silicones, SLS and colourants. Apply a small amount on wet hair and work through in sections. Gently massage into the scalp focusing on the roots. Add water, massage to emulsify then rinse.